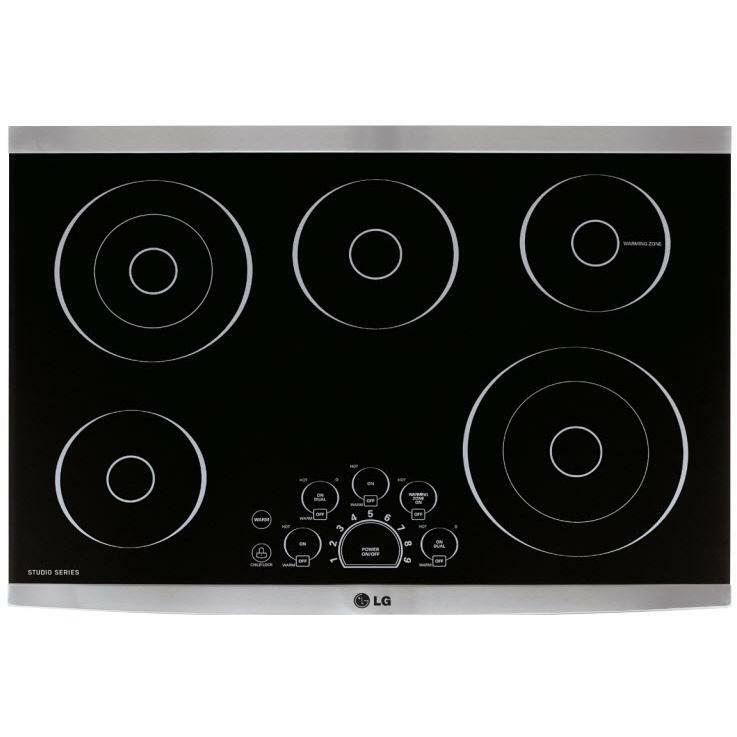 LG STUDIO 36-inch electric cooktop features SmoothTouch™ controls, 5 elements and ceramic glass cooktop. LG’s premium 30" & 36" cooktops offers the perfect harmony between style and convenience. 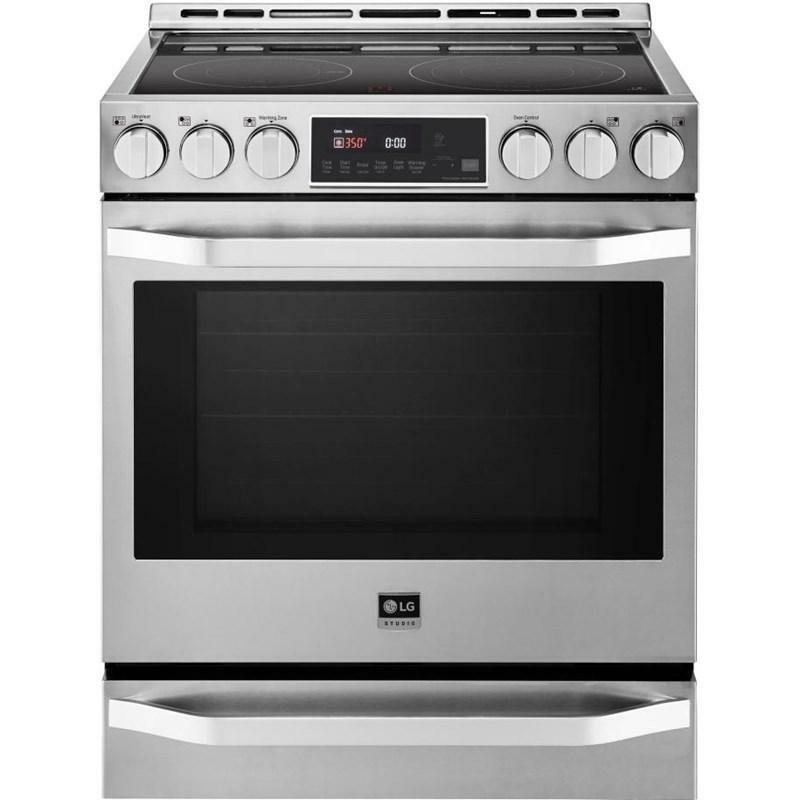 To be considered ADA-compliant, an electric cooktop must have a maximum high forward reach for controls and operating mechanisms is 48", maximum low forward reach is 15". Easy to use with just a touch. At a quick glance of the centralized electronic controls users can see which heating element is activated and the smooth surface easily wipes clean. 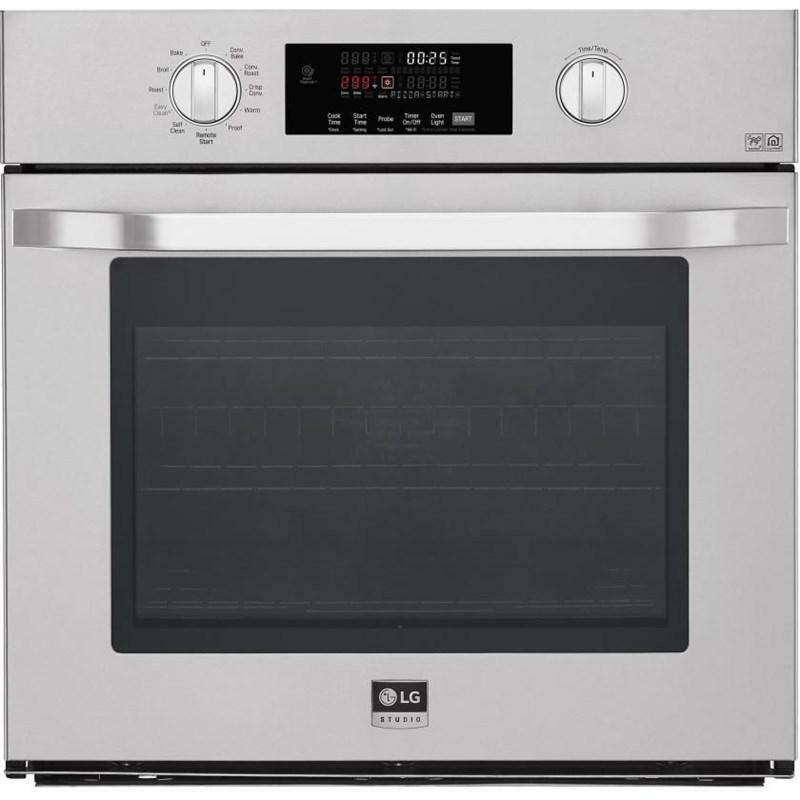 Burner/Element Size • Left Front: 7"
• Right Front (dual): 9"/6"
• Right Rear (warm): 6"
This LG STUDIO 30" Electric Single Oven Slide-In-range features ProBake Convection® that delivers even baking results on every rack, every time, SmartThinQ® Technology and EasyClean®, a clean oven in just 10 minutes. Capacity: 0.8 cu. ft. / 0.02 cu. 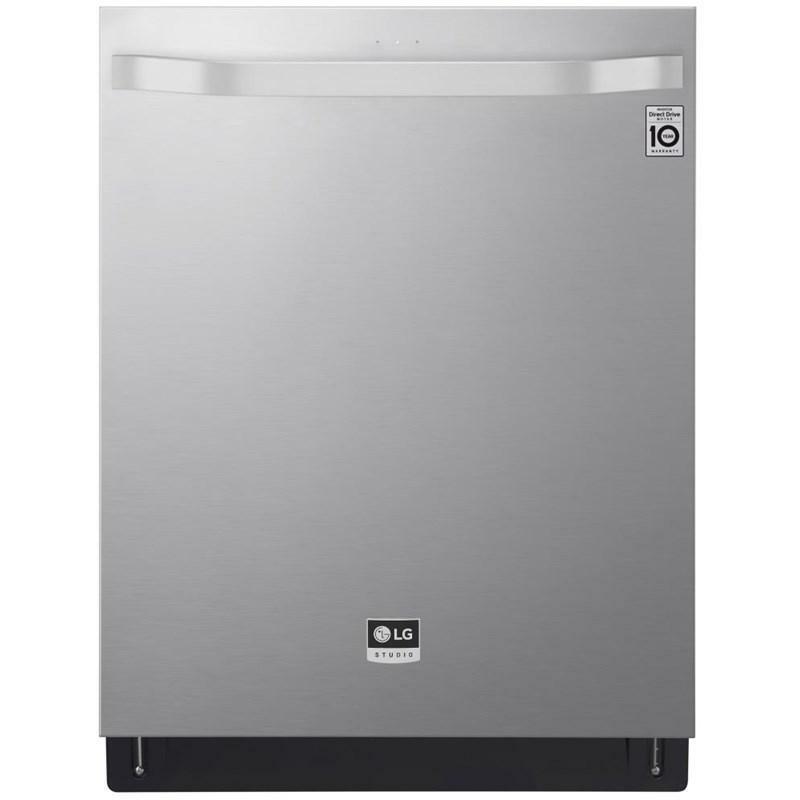 m.
LG Studio fully integrated dishwasher features Smart Wi-Fi enabled, QuadWash™ system, TrueSteam®, SmartThinQ® technology and can accommodate up to 15 place settings. This LG Studio 23.7 cu. 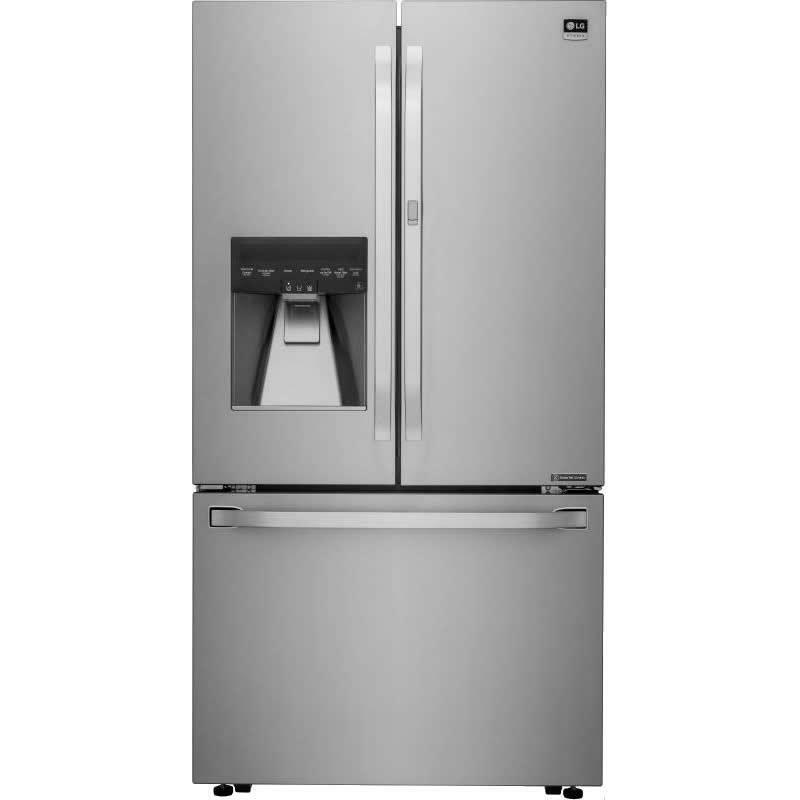 ft. french door, counter depth refrigerator features ColdSaver™ technology, the Smart Cooling Plus system and an external water and ice dispensing system. Total: 23.5 cu. ft. / 0.67 cu. m.
LG Studio 1.7 cu.ft. 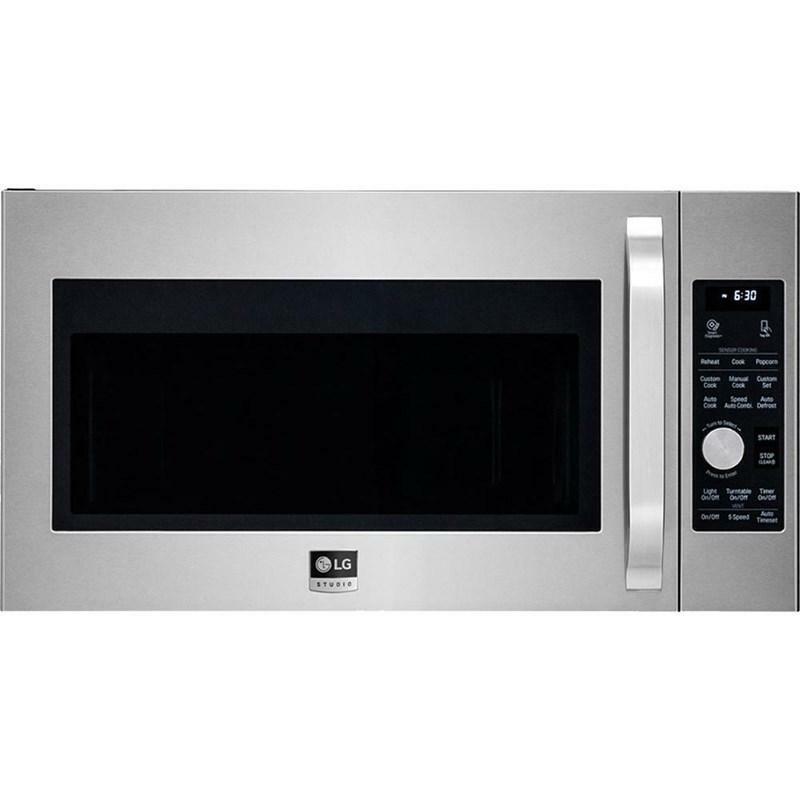 over-the-range microwave oven features convection technology, 10 power levels, 6 auto cook options and custom settings. 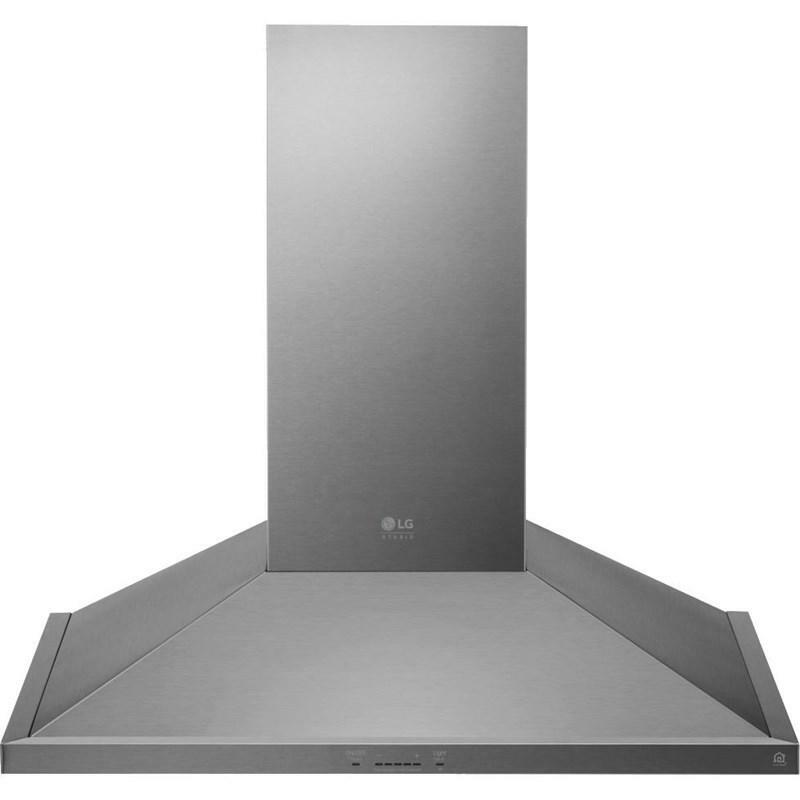 This LG Studio 30-inch wall mount hood features a powerful 600 CFM blower, 5-speed IR touch controls and dual level LED lighting. 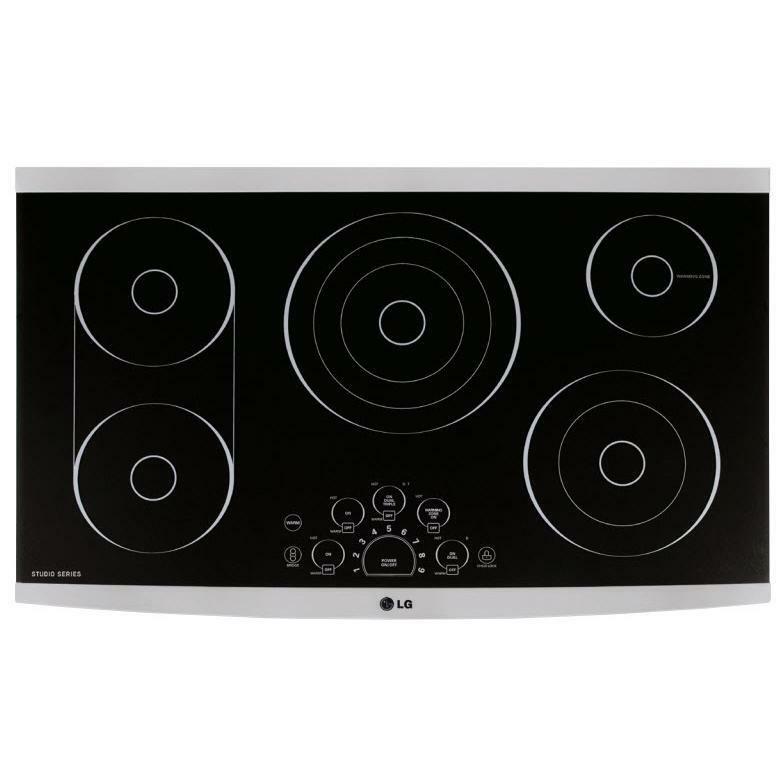 LG STUDIO 30-inch electric cooktop features SmoothTouch™ controls, 5 elements and ceramic glass cooktop. This LG STUDIO 4.7 cu. ft. Smart wi-fi Enabled Single Built-In Wall Oven features EasyClean® Technology, SmartThinQ® Technology and five rack positions and two racks. Offering also room for cooking entrees and sides simultaneously.